Want to grow your network, learn about new sound tools and audio approaches, meet potential customers, find new talent and collaborators – or perhaps simply just hang out with your fellow colleagues in the sound community? The good news is that there are a huge number of interesting audio conferences, community meetups, masterclasses, industry events and more happening around the world that’ll help you do just that. Trouble is, getting an overview of these events is really hard. That’s something I’m hoping to change, though. How? I’m really excited to introduce the Audio Events Calendar section here on A Sound Effect, a continuously-updated overview of events that are relevant to those of us who work in sound. 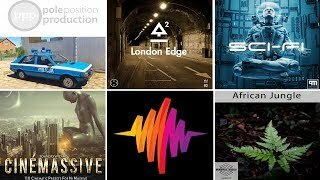 Any audio related events missing from the list? Please submit your suggestion right here (including event name, time and date, location, description and URL). Thanks in advance for your suggestions, and hope the calendar comes in handy! Another way to get this library: Also included in the Surround Sound LAB Complete Bundle, featuring 25+ SFX libraries at a huge discount. Surround Sound LAB is proud to present our 4th ambisonic library decoded and mixed in Dolby ATMOS. One of the greatest cities in the world, New York is always a whirlwind of activity, with famous sites at every turn and never enough time to see them all. Some people come here to enjoy the Broadway shows; others come specifically to shop; and many come simply to see the sights: the Statue of Liberty, Empire State Building, Brooklyn Bridge, Central Park, historic neighborhoods, and numerous world famous museums. All of them offer unique perspectives of the city. Any time of year and any time of day there are an endless array of things to see and do in New York. We visited New York last summer and once again, we have recorded recorded 22 beautiful tracks in ambisonic format, decoded and mixed in Dolby ATMOS at AdHoc Studios. The New York city sounds will give you the essence of the most iconic film city in the world. AmbiX First Order Ambisonic, Dolby ATMOS 7.12, 5.1 and ST files have been mastered with Pro Tools HD 2018 system are included in the package. Bodyfall is an exhaustive multi-volume sound library, designed in collaboration with prize-winning French Foley artist Florian Fabre, and recorded in the famous Hiventy foley studio. Chest (simulated with 4 textures of distinct densities, labeled M1,M2,M3 and M4), feet, knees, and hands, have been separated. All recordings were made from 3 distances (close, mid, distant) with 3 strength levels (hard, medium, soft). Finally, this huge toolbox provides you with infinite combinations to make your own and unique bodyfalls. Files included: 929 .WAV, stereo & mono files, 24 bit / 96 kHz (433 MB). No distant files for Dirt soft impacts. The Steam Trains library delivers 175 sound effects of three different types of steam train engines, and the clatter, rattle, and grinding of wagons. The collection includes riding, idling, pass-bys, departing and arriving trains, bells, whistles, steam blasts, platform atmospheres, and doors and windows. Each engine is well documented and listed in full Soundminer metadata. The Steam trains library also includes a “Specification Sheet” with detailed information about the trains and environments. Recorded with a Schoeps MK4/MK8 MS, paired with a Sound Devices 702 recorder. Some takes provide an alternative mix with recordings from an additional Sony PCM-D recorder. We've ventured to obscure boutiques, prop houses and vintage shops to capture mechanical contraptions from around the world. 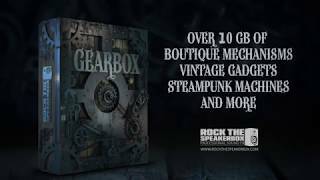 Ranging from bizarre creations, to steampunk gadgetry, gizmos and machines, GEARBOX clocks in at over 10 GB of high definition, precision mastered sounds spanning across 2987 construction kit sounds and 584 designed sounds. GEARBOX equips Sound Designers with a literal toolbox of mechanical gadgetry. Ranging from tiny to huge, GEARBOX's machines and gizmos provide coverage for interacts, mechanism, machine or device in your scene or game. In addition to CONSTRUCTION KIT and DESIGNED SOUND content, GEARBOX features BUILDING BLOCKS. This category of sound consists of designed phrases and oneshots utilized for our designed machinery, empowering Sound Designers with maximum flexibility when trying to get that particular phrase from an existing DESIGNED SOUND. GEARBOX features over 468 BUILDING BLOCKS ranging from levers, hits, grinds, snaps, and more. This is a unique bicycle library that captures this characteristic bike in clean, quiet, nicely performed true exterior rides. Including multiple perspectives, speeds and actions. From fast passbys on asphalt to slow onboard recordings and smooth stops. Three speeds. Departures from slow, medium to fast getaways. Arrivals from slow stops with gently squeaking handbrakes to heavy stuttering skids. 1. Onboard Front: captures the whirring tire and surface sound. 2. Onboard Pedal: nice overall combination of pedaling, crank creaks, chain rattle, tire and surface sounds. 3. Onboard Rear: close up sound of the rear axle, with chain, sprocket and switching of gear. 4. Tracking shot: mono recording of the passby, keeping the bike in focus while passing by. 5. Static XY shot: stereo recording of the passby that emphasizes speed. Onboard recordings are 2-3 minutes long depending on speed. Higher speeds > shorter duration. All 3 onboard mics are edited in sync with one another to make layering easy. All Passbys, Arrivals and Departures move from Left to Right. Because we know how important metadata is for your sound libraries we have created a consistent and intuitive description method. This allows you to find the sound you need easily, whether you work in a database like Soundminer/Basehead/PT Workspace work, or a Exporer/Finder window. However, we are aware that some people have different needs for different purposes, so we’ve created a Metadata Reference Guide that explains the structure. And because we’ve automated the metadata proces, you can be confident that a ‘find & replace’ command will always replace all instances. If you have any questions about this, contact us! Additionally, we added Markers to some wave files, so specific sound events are easy to spot in Soundminer or other database apps. The UglyBike library is part of the complete ‘City Bicycles’ library package available at www.frickandtraa.com. It consists of all 4 bicycles and includes additional surfaces and extras ranging from one-off bicycle passes captured in the city and bounces and rattles. The extra bicycles surfaces and additional effects are also available seperately here on ‘a Sound Effect’. If you’ve bought a single library and want to upgrade to the full package, contact us for a reduced price on the complete City Bicycles library. Every part of City Bicycles that you paid for will get you an extra reduction on the full package. 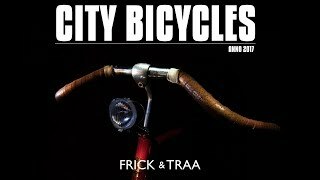 The Audio Spotlight: City Bicycles is worth getting if you are in need of great sounding and well edited bicycle sounds. Watch a video created by Zdravko Djordjevic. All sounds were recorded using a stereo pair of DPA 4060s, DPA 5100, Sound Devices Mix-Pre 6 and Sound Devices 788T. The American M5 High Speed Tractor includes over 20 gigabytes of recordings of a WWII US military vehicle with a Continental 6572 six-cylinder petrol engine with 207 horsepower. 188 sound fx document a full suite of performances from M5, also known as versions M5A1, M5A2, M5A3 and M5A4. The performances include starting, idling, departing, arriving, and passing by from 6 exterior perspectives at slow, medium, and fast speeds. 10 additional perspectives feature motor, interior, exhaust, tracks, and other locations that capture idles, driving, and steady RPMs from onboard the tractor. The Volvo 242 sound fx collection includes 271 sounds in 13.51 gigabytes of audio. The 242 is a DL 1975 version of the car, also known as models 240, 244, and 245. It features 25 takes of recordings from the Swedish vehicle and its 4-cylinder B20 A, 82 horsepower engine. 16 synchronized perspectives capture both onboard and exterior performances. Eight onboard perspectives (12 channels, including 4 in AMBEO) recorded driving at steady RPMs, with gearshifts, and ramps using microphones mounted in the engine, interior, and exhaust. Eight other exterior perspectives (18 channels) showcase driving at fast, medium, and slow speeds approaching, departing, and passing by. There are also steadies in neutral, blips, and performed effects, as well as an Altiverb impulse response. All clips have 18 fields of Soundminer, BWAV, and MacOS Finder metadata. ← New sound effects: fights, sci-fi UI, trains, Jeeps – and lots of ambiences! It would be great if the city and country of each event was listed at the top of the descriptions indeed the dates. Some are obvious because the city is in the name of the event, but others you have to go to the next page just to find out the location of the event. Other then that thanks for this cool resource. I will be checking it frequently. This is a great resource to help pull the game audio community together onto the same calendar, nice! Also relevant is the Worldwide Game Audio Groups map that shows the location and contact information for game audio groups across the globe. Nice job to the A Sound Effect team for putting this together! It’s really good to see you guys encouraging community engagement. We’ll definitely refer to this calendar at http://musicblip.com . Thanks for sharing! New sound effects: Volvos, volcanoes, body sounds, lots of debris, and much more! 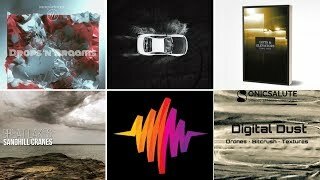 New sound effects: Vehicle SFX and fierce creatures, ethereal soundscapes, lots of jet skis, & so much more!